I love painting my nails, I love trying out different colours and playing with textures, but one thing I hate about the whole process is removing my nail varnish. It seems to take ages and I get cotton wool stuck to my fingers and nail bed, it turns what would be an enjoyable task into a chore. 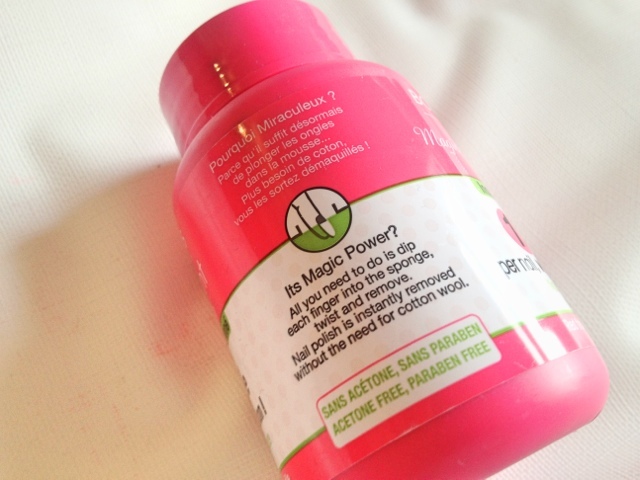 Now I may be a bit late with the whole "Magic Nail Polish Remover", I first heard of this concept on QVC while watching one of their Nails Inc shows. 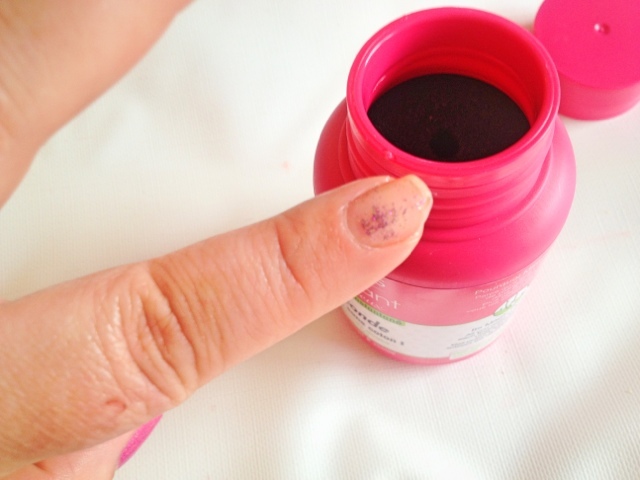 Nails Inc had brought out a Express Nail Polish Pot and it looked fantastic, but at the back of my mind I was thinking " it couldn't really work that well" and " its just TV magic making it look like the polish had been removed that easily". With this I forgot all about it and carried on with my life, until last week while in Boots I spotted this bad boy and for £4.99 decided it was worth a try. I have used this a couple of times already and have been amazed that the product actually works! When it came round to photographing it for my blog I realised I was wearing the dreaded glitter nail polish! If you have ever tried to remove it you will understand the pain of getting glitter everywhere and having to allow at least 20 mins to get the awful stuff off your nails! 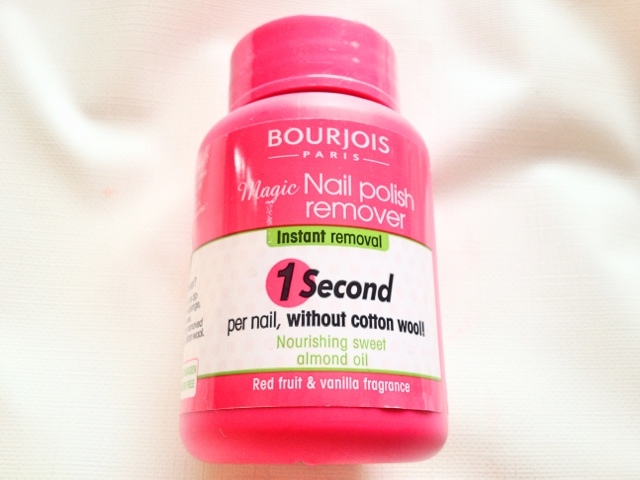 So I thought I would show how quickly and easily it is to remove with the Bourjois Magic Nail Polish Remover. This product is a life saver and dare I say one of the best products I've purchased all year! 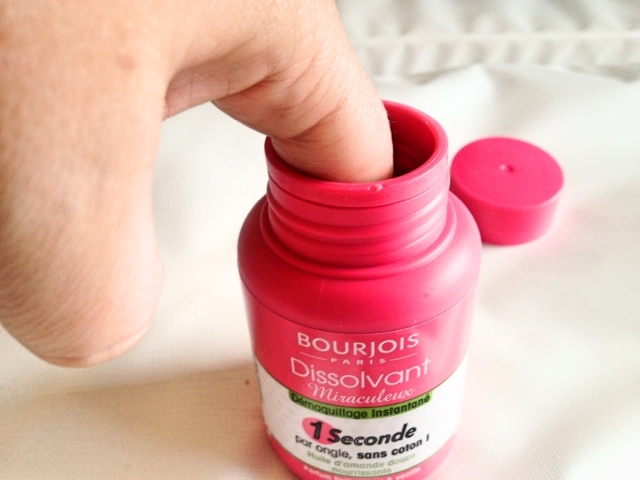 You pop your finger in the pot which is filled with foam soaked in nail polish remover, there in a small whole where your finger sits snugly into. Once in, rotate the finger clock wise and anti clockwise for 4-5 seconds and then remove it and wait to be amazed! With normal polish, when I say normal I mean non-glitter, the process only needs to be performed once but with glitter I had to do it 2 times for all the polish to be removed. Even with the "double dipping" it took no time at all and I saved myself the mess of having glitter particles all over my hands from being transferred by the cotton pad. 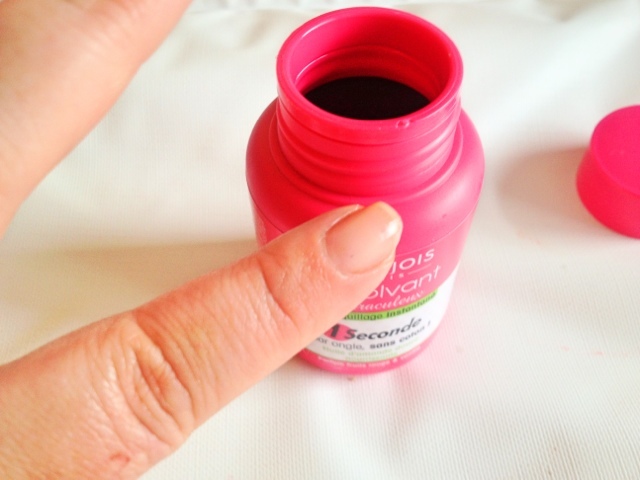 The remover contains Sweet Almond oil which leaves your nails moisturised and smelling yummy. This really is a great product and one that really works. I did just think it was a gimmick but alas it is not and one product that I will continue to use from now on. My nail polish routine has been changed forever thanks to this little gem. Normally if I make a mistake I would think "oh s*d it" and leave it as it is because I couldn't be bothered to remove and paint them all over again, the fear of cotton wool being stuck everywhere and my nails looking like frosty the snowman are all gone. I can now remove the polish from one finger without disturbing the polish on the other nails. This is a genius invention, just need one for my toes now! Have you tried this or the Nails Inc Express Nail Polish Remover, what did you think of it? I got this in a beauty box and I really love it. I've not purchased it again since but it's something I'd love to pick up. It's just a little more on the expensive side for a nail polish remover not that it's not worth it. Would buy it on the scent alone cause it's really nice compared to the typical nail polish removers. I completely agree it needs to be done for you toes! I haven't used this product but I actually have one from the pound shop and it's great! I wouldn't be without this stuff!